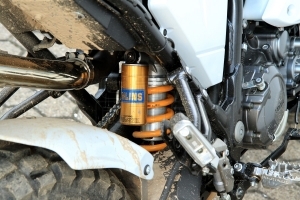 OHLINS manufactures the 'state of the art' shock for the XT-660 Z Tenere. Our recommendation for all world traveller, rally pilots, Super-Moto and touring drivers. 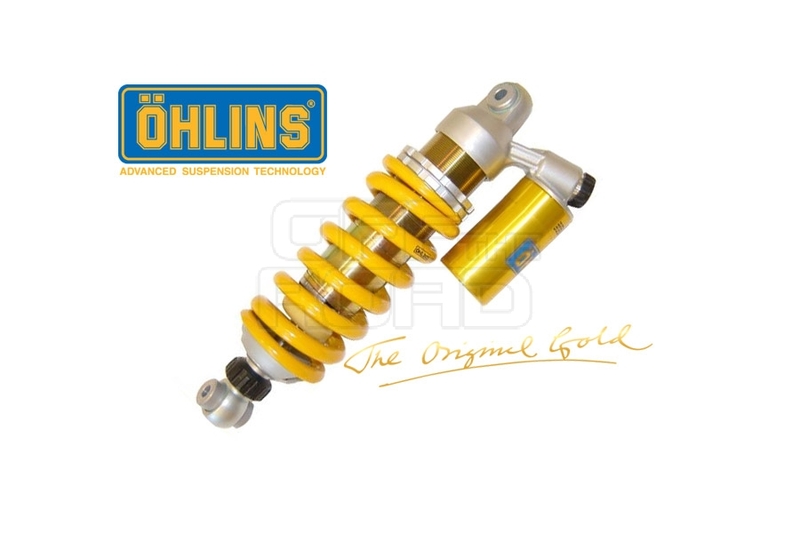 All rally bikes made by OFF-THE-ROAD are equipped with Öhlins suspension. 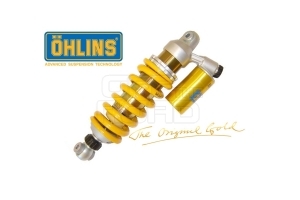 All ÖHLINS shocks are custom made for each bike and each driver. That means, that you have to wait a little bit, till you get YOUR Öhlins shock. But not longer than about 6-8 days. The set up for each shock, the damping and rebound as well as the springs are tested on and off-road to get the best results. apart by a separating piston. The piston is fitted in an external reservoir. This will give you the advantage of stabil suspension work even in the worst conditions. Please choose the weight including helmet, jacket, boots etc. Anyway the shock can also later easily be adjusted with the spring preload!